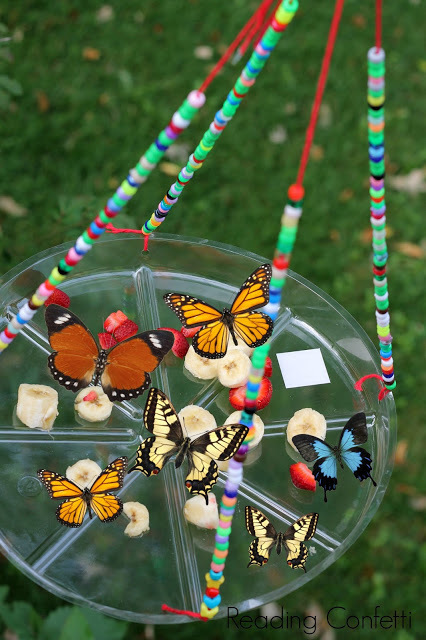 Here are some great tutorials on how to make a gorgeous homemade butterfly feeder to attract butterflies to your garden or outdoor living space. I like the plate design the best as I love printed vintage plates, you can find some great designs in a second hand store if you don't have any lying around your home. You can also make your own butterfly food by mixing 10 parts water with one part sugar and placing some spoonfuls of the butterfly food mixture on a sponge or in a dish.